Filmmaker Ian Rosenberg has created a loving tribute to the last Catskills resort in his film, Welcome to Kutsher's. 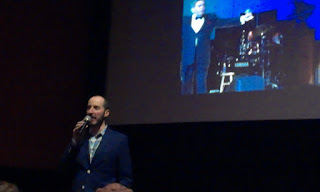 I spoke with him at the film's opening in Delray Beach, Florida. The film will be available on DVD and Video-on-Demand starting June 23, 2015. Details and pre-orders at www.kutshersdoc.com. 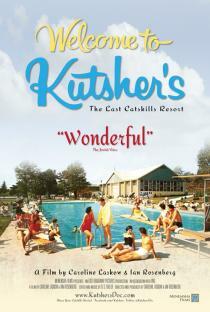 Distributor Menemsha Films says "Kutsher's Country Club was the last surviving Jewish resort in the Catskills. One of the legendary Borscht Belt hotels during its heyday, Kutsher's was family-owned and operated for over 100 years. Exploring the full Dirty Dancing-era Catskills experience— and how it changed American pop culture in the comedy, sports and vacation industries— this award-winning documentary captures a last glimpse of a lost world as it disappears before our eyes."